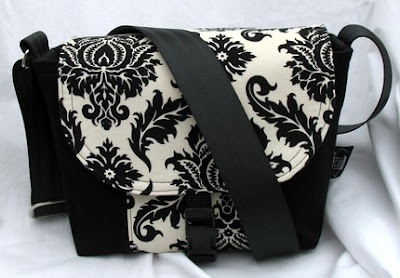 Pics and Kicks: Giveaway: Camera Bag from Wicked Stitch Designs! 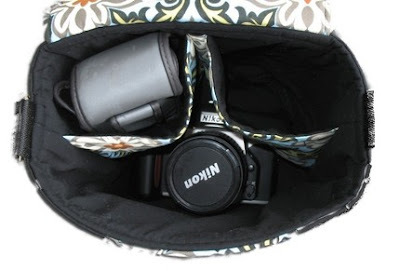 Giveaway: Camera Bag from Wicked Stitch Designs! 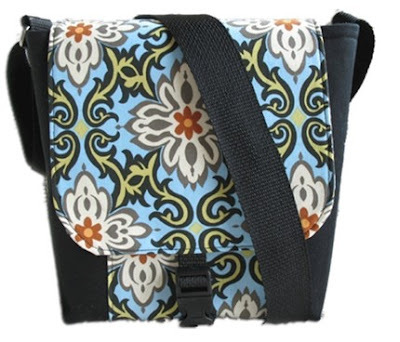 Wicked Stitch Designs is offering your choice between 3 fun camera bags! and ANY fabric ($10/yd or under) from equilter.com! Your bag will be custom made JUST FOR YOU!! Double you're chances to win by linking this giveaway back on your own public blog or send out a link through Facebook or Twitter, then come back and comment that you've done it and you'll be entered a second time into the drawing! Be sure to have your entries in by 12:00am Thursday night! Winner will be randomly selected and announced Friday morning. and a big shout out to Wicked Stitch Designs! and Etsy shop for other great products. PS- Someone out there was wondering if they could enter even if they're not a photographer. Please do!! 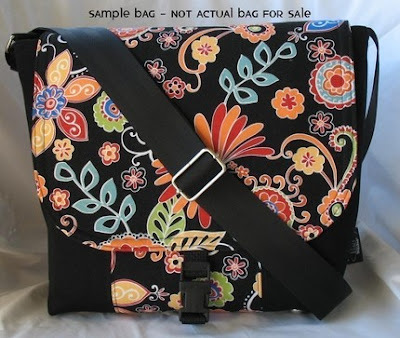 This thing has multi-purposed (hello diaper bag!!) written all over it if I do say so myself!! Wicked Stitch makes awesome bags! I have one (the last one shown) and I love it! BUT you can never have TOO many camera bags! These bags are so beautiful! What a great give away. Awesome! My camera bag is a nice Crumpler bag but sometimes I just want something pretty!!! Love the bags. I actually don't have any, this would be great. Fabulous.... my camera bag zipper broke, so I could really really really use this right now. Thanks for all these fabulous giveaways! Heck yeah! This beats the crap out of my current camera bag which is blah blah blah. I have been wanting a bag like that forever! So cute! 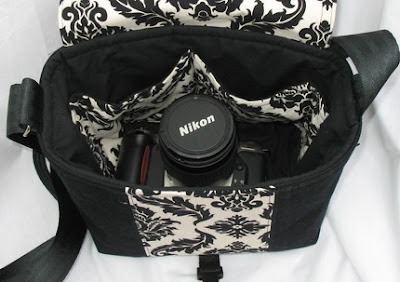 I would love to have a camera bag that does not look like a camera bag! Fabulous giveaway!! :) I hope I win!! I love you blog and I love that bag. It would be great to win on my first comment. I LOVE these camera bags! I NEED this bag-mine is awful!! yay! what a fun contest! Enter me, please! You can never have too many camera bags, right? I'm trying to get my boyfriend to agree with me on this one. super cute bags...would luv luv to have one. thanks for the giveaway. Seriously cute bags! Count me in!! Oh those bags are so awesome, and I need a new camera bag for my new camera!!! Very nice bags! Would love one! I also tweeted it - that's 2 for me. Such Cute bags!!! I would love one! Those are so cool! Hope I win one!!! Just posted on Facebook too! Squeeeee! Please oh, please oh please! Count me in! I love camera bags that don't scream "I'm a camera bag! Steal me!" Oh my these are sooo cute! These bags look awesome and stylish and functional-- a rare combination! Cool bags. I hope I win one! I'm getting a new camera and a new bag would be great!! Thanks. um, i love them all, thanks. those are awesome!! ooohh! I want in! This is awesome! Those are the cutest---love them! Hey there again. I posted this on my blog too! Thanks so much! Hey these aer awesome and stylish bags!! I want to be hooked up as a winner of one of those sweet puppies! my email is lindseybirggs@live.com for when I win. This is great! The bags look both lovely & useful so who can beat that? Thanks so much to you & Wicked Stitch Designs! I LOVE these bags! Thanks for the great giveaway...I posted on facebook. So so cute! Would love to win one. The bags are super cute! What a great idea! 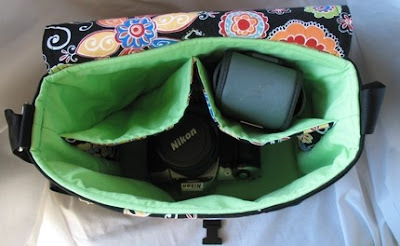 I wonder if there are any free patterns out there for home-sewn camera bags! SUPER CUTE!! I would have so much fun picking one out! Adorable! I hope I win. I put some links up on my blog! ps: I just linked you to my facebook! Those bags are so beautiful! Whoever wins that will be the envy of everyone for sure! Hopefully it's me though, lol! Have a great day Natalie! Ooooh, I want! So beautiful and I love that it's so custom! I want, I want! Love it! Very cool. Found you care of Ms. Sara Gray. Shared the link at Facebook! B-E-A-UTIFUL!!!!! I would love to tote my camera around in one of these beauties! Just posted a link on facebook, so sign me up twice!!! OOOOH - please oh please! I need an adorable cute bad! I will look so cool when I take pics of NYC with that bag. My Nikon would look great in that bag! Ahhh!!! I want I want!!!! These are so stinkin' CUTE!! And heaven knows my poor camera is so sick of being carried around in my regular purse because I don't like carrying around my big bulky carrying case. so, so, so beautiful! i love them! I just know if I had this bag my pictures would turn out more beautiful! I love the Black and White one!! Much more convenient than my back pack! I didn't know cute camera bags EXISTED!! How awesome. I'd love one for my Canon. You know I just twittered it!!! Very Cute! I am like a boy so I totally need help acquiring beautiful practical, stylish stuff... here's hoping! I want to win too, but good luck to everyone. And I love your photos by the way, I often come to your site before one of my shoots for inspiration. The giveaways are cool, Natalie! I would love to win one! I've been on the lookout for a cute camera bag ever since I outgrew my old one. Super cute! I want to win. these bags looks great natalie! just linked to my fb page! Thanks for the opportunity!! love these bags! super cool, well designed bags! Hope I win! WOWEE! These are great!! Love the chance to pick out your own fabric!! These are soo cute!! It'd be awesome if I won haha. Wow i so want that bag! Put me in for the contest! Posted it on my fb pg! super cool give-away this week! thanks! Ok, so that is the cutest bag ever! I would love, love, love to be able to use it! I hope I win! So I just posted on Facebook! Cute, cute cute!! I MUST HAVE THIS!!!! I will post this everywhere to quadruple my chances! So cute! need a camera bag oh so bad! AHHH... LOVE THIS! I've been looking for something like this for a LONG time! Pick me... PUH-LEASE! Wow~ as a new camera owner, that bag would be fabulous! Thanks for the chance! Oh so cute!! I want to win the Milly! Gorgeous bags! Would love to be entered. oooooooooo I want one soooooo bad! Please enter me! I also added the link on Facebook. Thanks! Oh What an awesome Contest! I just love the camera bags from WSD! I recently ordered the Milly one, but I've also got my eyes on the Knox! Such a great contest giveaway! I've posted links to this blog from my blog page (http://y0omii.blogspot.com), as well as from my etsy page (http://y0omii.etsy.com). And of course I've twittered about the contest too (@y0omii). Wow! I LOVE these bags! Always great fun to follow your blog Natalie! I want to win this.....I really want to win this bag! Just posted the link to my facebook! Maybe 2nd time is a charm! I love these cases!!! I desperately need one too. How fun are these? So creative. I love them! LOVING these bags! So cute! Here's my first entry! Hopefully more people will see and fall in love like I have! I totally want the Milly! I'm loving all these giveaway! Oh my gosh! Absolutely adorable! As someone who has fallen in love with photography and almost has the money to buy a DSLR *fingers crossed*, this would be perfect! Just shared the joy by blogging about it! Oh could i be so lucky?????? How cool is this. Enter me, please! omg! these bags are so cute!! These bags are very cute and I know a special someone that would very much like one. This would be awesome- I need something like this. The other kind is just too obvious! These are so cute. Thanks for the giveaway! Tweeted! Entry #2! I have some friends I'm going to email about this too. I have been eyeing this bags for a while! They'd be perfect for my soon-to-be new camera, the Olympus E-620! These bags are super cute, here is my entry! I also blogged about this giveaway! I have a meridian bag that I LOVE, but a Milly bag would be perfect for shorter trips. Love these bags!!! My camera bag disappeared 2 weeks ago... I would love one of these bags! Those are the cutest bags I've ever seen! I need something girlie! Super cute..I hope I win! That is one wicked cute bag! Sign me up! seriously looking for a bag... YAY!!! if I win this one!!! I just bought a bag from you, so I will probably win this giveaway since I already have one. LOL. I have a friend who loves your bags, so if I win I will give it to her. So sign me up TWICE! Those are fabulous! Sign me up please!!! Thanks! i would love to win one of these beautiful bags!